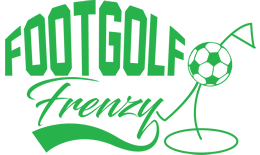 City lovers can come and get their urban buzz reignited whilst combining the Capital’s highlights with the entertaining game of Footgolf. With courses dotted around the Capital, a Footgolf Break here will be diverse and challenging taking in many of the city’s hotspots. This bustling city offers ample opportunities to delight in culture, heritage, sight-seeing, shopping, food and nightlife. Too much to do in one trip, you’ll be desperate to come back. Take in a show at London’s West End, imagine executions gone by at the Tower, cross one of many famous bridges, get aboard the London Eye, take in art galleries and world-famous museums, or enjoy a spot of retail therapy on Oxford Street. There’s something for everyone, and if the urban-frenzy gets too much, head to one of the many expansive and relaxing Royal Parks, from Kensington Gardens to meandering ambles in Hyde Park, Footgolfers will find something to suit them and their travel party.